Later today you will be able to experience the live launch of the Galaxy S IV, but for now we can only rely on leaked images and this time videos. 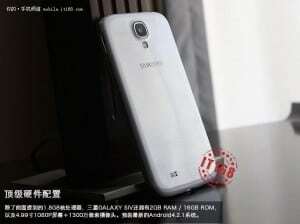 One Chinese website, mobile.it168, has released a few videos showcasing some of the Galaxy S IV features such as the Floating Touch (Same as with Note II except you don’t need a stylus), SmartPause and the web browsing experience. The Floating Touch feature identifies where you are hovering your finger over the screen and interacts, without you actually touching the screen. The SmartPause feature pauses a video as asoon as it detects you are looking away from the screen. And the last video shows how the web browsing works.